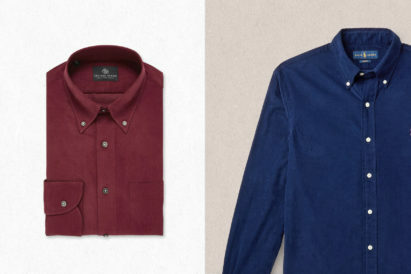 In this era of quick trends and fast-fashion cycles, there’s something incredibly comforting about menswear items that will be forever treasured and even one day classed as vintage. A pair of derby shoes, for example, will keep any formal ensemble looking elegant and classy, whatever the year. A beige trench coat will help dress-up and elevate almost all outfits. 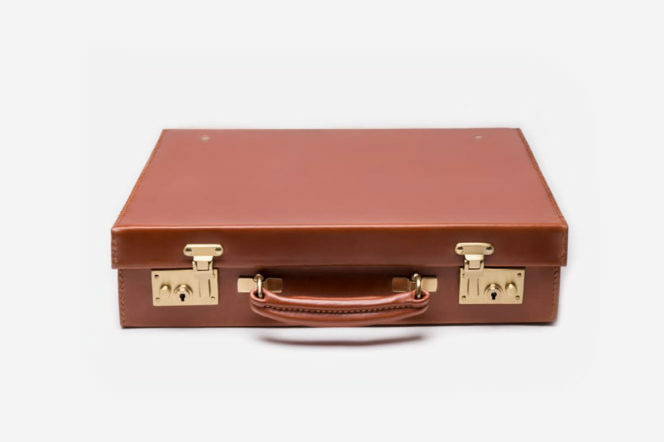 And a work case, despite what many may think, can also finish off a look in the most sophisticated of ways. 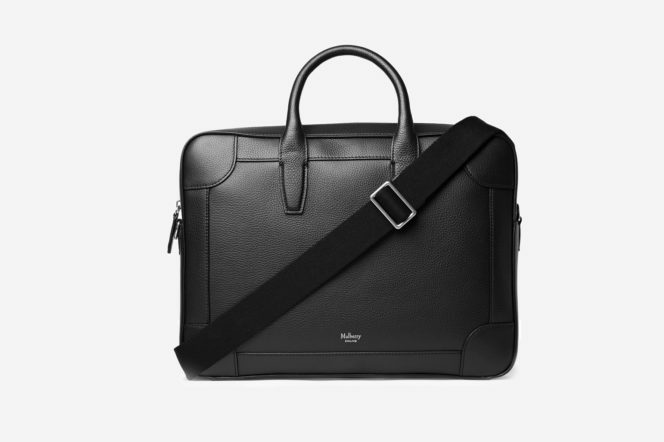 Yes, it may be an item that’s synonymous with OAPs and old-school salarymen, but today’s versions are actually refined, streamlined and able to hold all your daily essentials in a sleekest way possible. So, leave the tote for the Sunday morning shop, limit the backpack to the gym and instead check out these five structured and durable cases that are sure to grant you a lifetime of gentlemanly style and document safekeeping. Since 1934, London-based Ettinger has been leading the way when it comes to producing luxury leather goods – so buying a bag from the company is a safe bet. 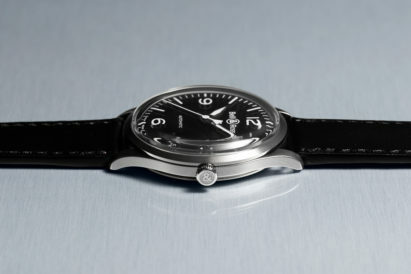 From the brand’s Metropolitan Collection comes the sleek and slim Bakerloo case. Able to open from both the top and side (allowing easy access whenever you’re in a rush to the boardroom), designed with a spacious internal compartment that can hold all your documents, a smartphone, wallet and business cards, and crafted with minimal details, this is a case that’s both practical and simplistic in style. 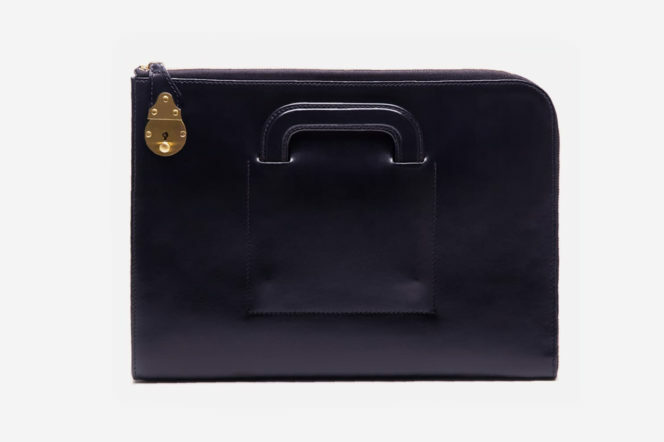 The two retractable handles also allow you to carry it either as a case or under the arm like a portfolio, and the in-built brass lock guarantees that your goods are secure. More impressive is the fact that the waxy hide (which has been hand-finished with many layers of waxes and oils) won’t only protect the surface for decades, but it’ll also allow the bag to acquire a patina over time, adding more character to its overall aesthetic. Available now in navy, black, dark tan and dark brown. In a world full of statement items, there’s something to be said about stripped-back accessories. 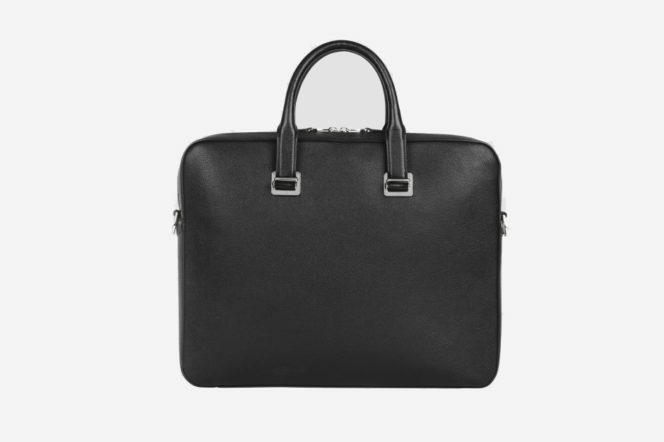 Take the Cadogan document case by Dunhill, for example. Part of the label’s timeless Cadogan collection, this slimline holder keeps branding and design to a minimum, meaning it will pair with everything and stand the test of time. On a practical level, it comes with a secure zip closure, an adjustable and removable shoulder strap (perfect for when you want to carry bulkier items) and an internal padded laptop sleeve, meaning your MacBook will remain scratch-free. Moreover, it’s made from calfskin which, unlike lambskin, is tough and thick, allowing the leather to stand up in harsh climates and retain its shape for a prolonged amount of time. The treatment that the Cadogan is given also makes it resistant to abrasion and water damage without sacrificing the supple touch of the material. Founded in 1781, awarded a Royal Warrant in 1862 and now one of New Bond street’s go-to luxury houses, Asprey is a brand that’s rich in heritage. 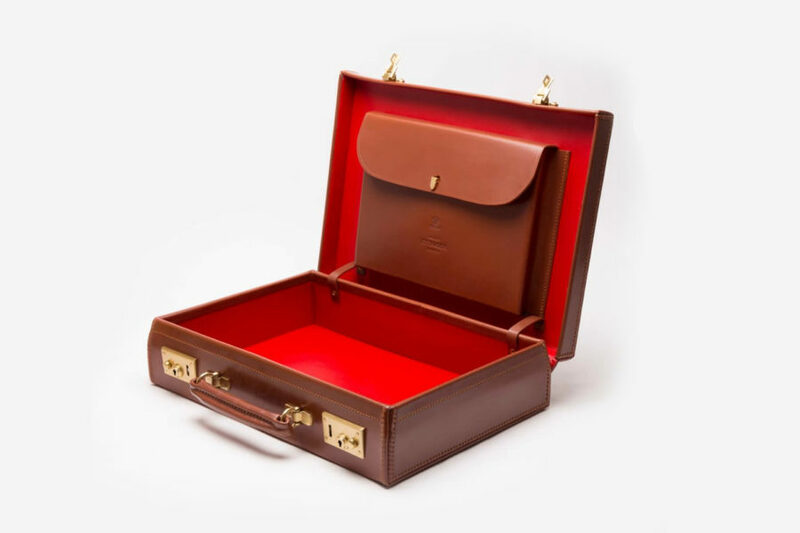 And it’s the Hanover I briefcase, with its traditional style, that symbolises the company’s timeless style best. It’s fully lined with leather and hand-finished stitching (meaning no water will seep in and damage your items), and although designed to look like an item from the early 20th century, it’s made with the modern man in mind as there’s space for a smartphone and several cards. The palladium finish fittings also adds a subtle element of opulence. 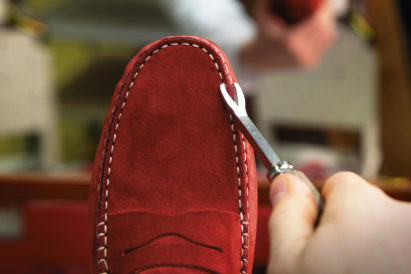 To guarantee longevity, it’s been created with English saddle leather, meaning that the cow or bull hide has been subject to the old artisanal process of using natural tannins found in barks, wood and other parts of plants to convert animal skin into leather (otherwise known as vegetable tanning). Because no harmful chemicals are used, the hide is created in a pure and natural way, resulting in a superior and more durable material. Whether it’s the elegant brass trimmings or the throwback aesthetic, there’s something incredibly charming about this case. 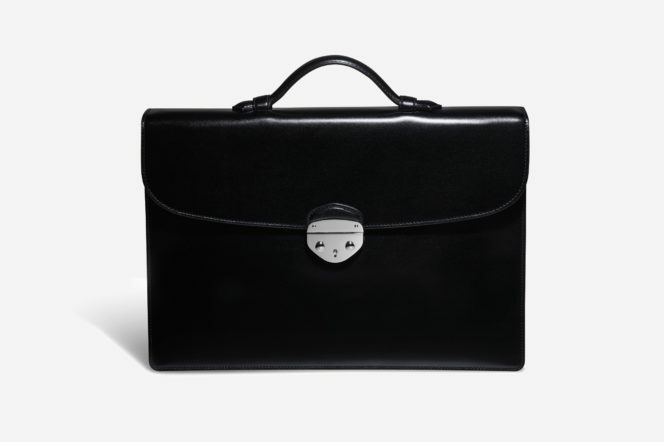 Inspired by the attaché that Gerry Ettinger made for himself during the 1930s, the St. James is made with a small and light frame – but despite its bijou-sized body, it comes with a pocket in the lid which can fit notepads, an iPad or other devices. When it comes to build, it’s made from English bridle hide – a leather which takes days to process and hours to coat with layers of wax, tallow and oil (which, in the end, protect the surface and give a candle-like touch). In terms of lining, you can choose from a selection of three different long grain skiver leathers or a natural sueded. And to make sure every part lasts as long as the other, the brass locks and fittings are made to the highest of standards. Although it takes around ten weeks for the case to be finished, the fact it’s tailored to your needs certainly makes it worth the wait. British brand Mulberry has garnered attention and acclaim for over 40 years, and that’s solely due to the brand’s expertise in churning out expertly-made leather goods. 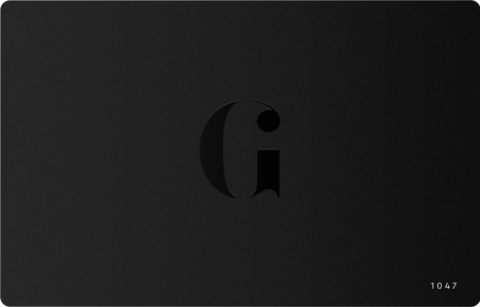 For us, it’s the Belgrave that stands out most, despite its fuss-free style. First, it has two internal zip compartments to store any grooming products you’ll need on-the-go. Second, there’s a detachable shoulder strap, so you can keep your hands free for typing away at those important emails when around town. And, most importantly, its full-grain leather comes from the strongest and most durable part of a cow’s hide – just below the hair. Additionally, the tight graining has a twofold benefit: not only does it add a subtle texture to the surface, but it resists moisture incredibly well. Rich and hardy, warm and reliable, throwing on a corduroy shirt is a surefire way to adding some luxe texture to your weekend wardrobe.